Unique anniversary gifts begin at home. If there's a couple you know who are celebrating their anniversary or if you're looking to give your spouse that special something that holds (or will hold) the years of your marriage close to your heart, then start at home. What is the evolution of your/their life? What is in the forefront that epitomizes the stages of the years of togetherness? What do you need to acknowledge for them (or yourselves) that which makes the anniversary monolithic? Unique anniversary gifts. Anniversary gift ideas. The perfect blend of your knowledge and the chart below is a great start for each anniversary gift. Unique Anniversary Gifts are easier than you think. Other than, let's say, the 25th Anniversary where it is customary to see silver things for the celebration, it is often more interesting these days for couples to celebrate in ways appropriate for them. What about an anniversary theme - what is the couple well known for? What have they landmarked in their life that can be celebrated alongside their anniversary? Will it be a gift for the 7th anniversary as a copper-colored tie holding a bouquet of Freesia or a monogrammed oyster-white sofa throw (linen) as the "package" wrapped around a string of pearls and pearl cuff links for a 12th anniversary of marriage or togetherness. Also trending are the couples who reward (lol) each other with gifts of a lifetime; reaching 25 years of marital bliss is a biggie, and many couples actually make BIG, HUGE, plans to mark the occasion...anything that involves an experience of a lifetime...Experience the Experiential! Then there's the times when you want to give that extra special, unique gift to your wife or partner. A visit to CapturedWishes.com can help you speak for your heart. Life is full of color and color is full of symbolism. Captured Wishes transforms your desires and wishes into magical symbolic colorful glitters and captures them in beautiful wish vessels just for them. Staying in the vein of smaller but unique ideas, can't find something appropriately steel for an 11th anniversary? Then get creative with turquoise colored Tulips. Get creative. The word tradition sticks out like a sore thumb but YOU think outside the box, remember? Have fun with it. Run with it. Just remember, when you want to give them something, it's about the couple and who they are and then remember who YOU are and the style in which you want to gift them. Emily Post, the first published (American) author on etiquette informed us in 1922 that although only eight anniversaries were acknowledged, there was a trend toward celebrating other anniversaries. She put together a list anniversary gift ideas for each of the first 15 years of marriage and one for every 5 years after. We still use this list today even after the American National Retail Jeweler Association upgraded it in 1937. Using the idea that the longer a couple is married, the more substantial and lasting the gift should be to represent the years married, our society now uses the list below. I've put a table together with as many options as could be found from various sources on the internet. Either widely accepted or rare or called alternates, this arrangement gives you scads of potential ideas for unique anniversary gifts. Hmmm. If you think about it, this list is just a guideline, a starting point. What you make of it is entirely up to you. Follow the rules or make your own. Think past the common. Be aware of your desire to get a specific reaction from the gifts given by you. 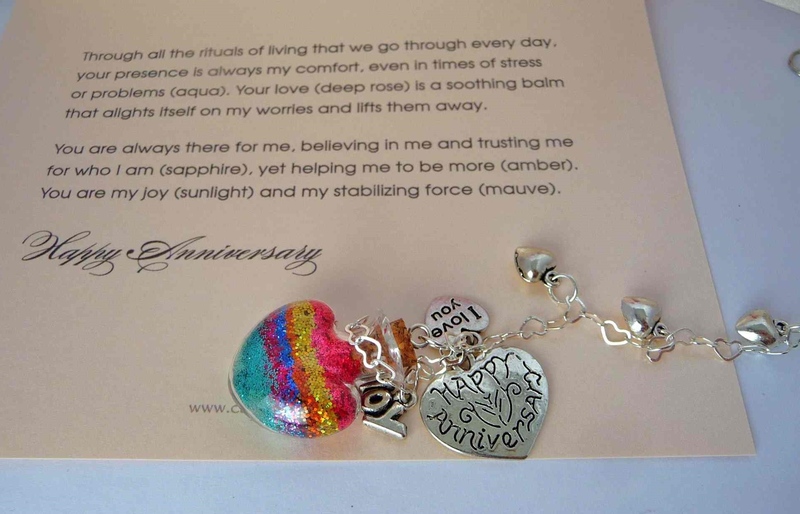 Be sure to look over the unique anniversary gifts we've conjured up! 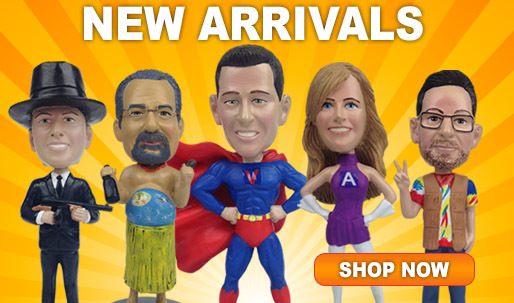 Click here - Custom Bobbleheads - friends just bobbling around! What kind of Friend are you? What kind of Friends are they? Can you just imagine this? These reasonable facsimiles of your best friends are sure to be a crowd pleaser for any anniversary celebration. Remember, it's about them first, but then it's about you. This gift will surely stay displayed in the home somewhere for years to come! After 4 years of marriage, there arises the probability that the family is starting to get a little larger. Probably, the Mammas and the Pappas have to start thinking about the grocery bill and how it's getting higher and higher. Probably, they're thinking "We better buy bulk," and "Where can we store all this stuff when we buy it for .99/pound?" and "Look at the deal on these apples, why I could make pies or Grunt," and "Well, how else can we save on groceries?" Probably, as a wonderful family you could pitch together, maybe giving them a new freezer. Besides, the 4th anniversary gift giving schedule is fruit & flowers, linen, or books (traditional) or some kind of e l e c t r i c a l appliance (modern). And there you have it. Probably, giving a freezer won't be classified under a unique anniversary gifts list, but you can make it so. And it will surely be remembered by the WHAT, WHO and WHEN because you took the time to be an informed and aware gift giver. Plus you'll have added the right touch. 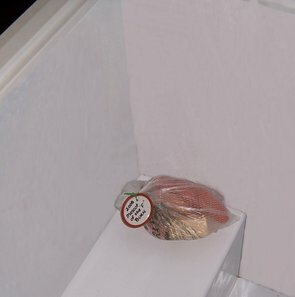 I went to the freezer the other day on an archaeological dig for something to eat...Because it is a chest freezer that loads from the top, older food always ends up at the bottom. So you lean over the side and go down into the belly of the beast, layer by layer, era by era, to find something for dinner. It's a chilly trip down memory lane. Here was the Great Ground Beef Sale of '06. The Special Diet Soup Phase of '04. The Something in an Unlabeled, Recycled Margarine Container of '02. And downward, until you're rooting through unidentifiable plastic tubs, possibly filled with some sort of food, that were placed in there before the fall of the Berlin Wall. And that's when I came up with it. When you give the freezer, start the new owners off right. Put an unidentifiable package of mystery at the bottom labeled "The Mascot of the Burn". There. The freezer has it's first rightful occupant. All is right in the world. 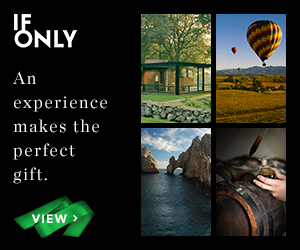 And each anniversary gift you give can be as memorable as this. Note: I made mine from plastic food that you can buy in the toy section of any department or grocery store. The label is made from a canning jar lid. Oh, and don't forget to tie a big blue or green ribbon around the freezer. Now it can be classified under unique anniversary gifts.